and after all of that, Bob is still able to smile. Bob was truly an inspiration today. When he "hit" the wall, he took some deep breaths, drank some fluids, and said "let's go". Additional pledges have been made over the past few days as more have found out about the challenge. 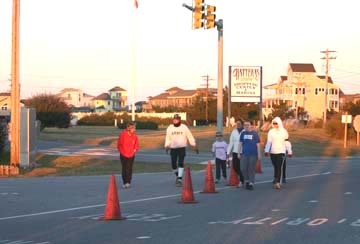 We'll update the site later tonight or in the morning with an estimate of the total raised for the OBPA and the Hatteras Island Cancer Society. THANK YOU BOB! GET A GOOD NIGHT'S REST - YOUR TRUCK IS STILL PARKED AT OREGON INLET! 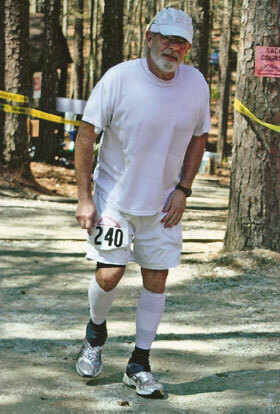 Bob Spangler has been an avid runner for over 12 years. If you've driven down highway 12 at 6 o'clock in the morning, you've likely seen Bob making his way between Avon and Buxton. A native West Virginian, Bob decided to "retire" to Hatteras seven years ago, after visiting the island for over 20 years. "Retire" to Bob is teaching chemistry and coaching the cross country team at Cape Hatteras Secondary School. Actually, Bob's first retirement was from the U.S. Army. Bob was an Infantry Captain with combat experience in the Vietnam war. After the military, Bob put his undergraduate degrees in Forestry and Science Education and masters degree in Environmental Science to good use as a teacher for over twenty years at the public school and college levels. 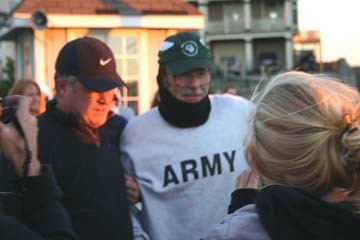 This past winter, Bob's love of running was interrupted by rotator cuff surgery. He was counting the days until the doctor gave him a green light to resume his passion. 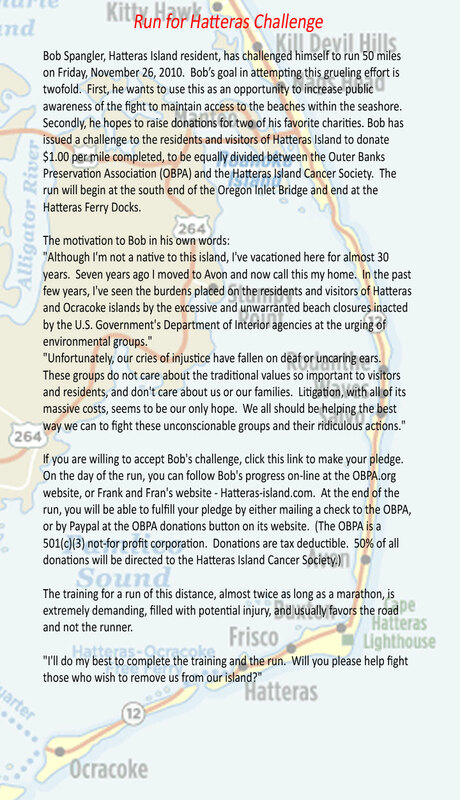 Over the past 12 years, Bob has run numerous races in the 5 kilometer to 15 mile range. He's completed four marathons, and 1 50 mile run. By the way, Bob will turn 60 in October.